This course is designed to teach experienced installers how to create an Air Barrier using Self-Adhered and Fluid Applied materials. This course includes instruction on everything from selecting proper materials, substrate preparation, application technology, troubleshooting, and hands-on training. Self-Adhered and Fluid Applied installer training is designed to teach experienced installers how to create an Air Barrier using Self Adhered and Fluid Applied materials. This course includes instruction on everything from selecting proper materials, substrate preparation, application technology, troubleshooting and hands-on training. For certification purposes, a minimum of 3000 hours of work experience either directly with air barriers or in applicable related trade experience is required. 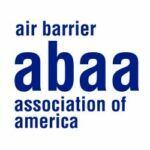 For companies seeking to become ABAA Accredited Contractor, it is ABAA policy that each company has at least 1 person trained in an ABAA Installer Training Course and certified as an ABAA Level 3 Installer, and at least 1 person trained in the Quality Assurance Program Administrator Course. DEADLINE TO REGISTER IS: January 28th, at 12:00 PM CDT.